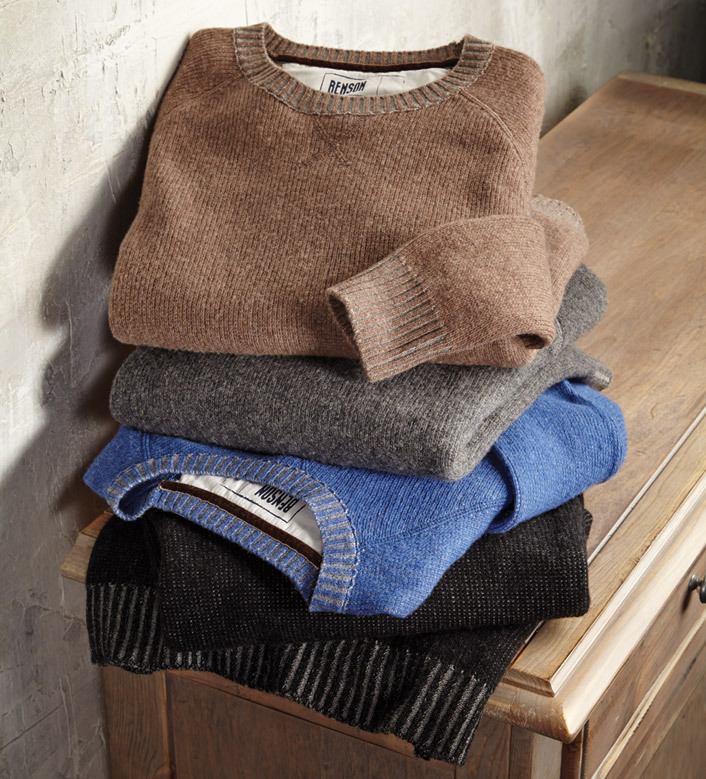 Contrast ribbing at crewneck, cuffs and waist. 90% merino wool/10% cashmere. Machine wash. Imported. I bought two and I wear them all the time.